Paul Lerner opened his eyes and looked at the clock. Twenty past eight. The first day of the new year. As his birthday had been on December 30th, the start of another year for him, also. Getting along in his eighties. He glanced at the other side of the bed, empty; his wife Sally was already up. Well, the holiday lull, as he thought of it, was over, and back to their usual retirement routine. What did he have to do today? Neither he nor Sally had been to their local supermarket for a while and they were low on milk and fruit so that was his first priority. He hoped it wouldn’t be raining; he didn’t like driving when it was wet and in the Sacramento Valley where their retirement community was located January was usually a wet month. What else? Sally would want to put away the Christmas things. He had a few e-mails to answer. And he wanted to call Bud Foster. Their Christmas card to Bud had come back and he wanted to make sure Bud was still around. Okay, he’d better get up and face the new day and the new year. He was happy the rain had stopped on his drive back. When he got home, he brought in his purchases and told Sally she’d have to put the stuff away, he needed to sit down. He went to his computer and checked his e-mails. He answered the one from his cousin, six months older than him, who’d gone to Florida for the winter. He couldn’t take the winter in New York any more. Then he remembered, the card to Bud Foster that had come back. Paul had met Bud after he’d retired and joined a nearby swim and tennis club. At that time he was a tennis player. He and Sally lived in Carmichael, a suburb of Sacramento, then and the club was in Citrus Heights, another suburb, but only ten minutes away. He’d found a group of a dozen or more seniors who played there. Bud Foster was one of them and had been the organizer of twice-weekly doubles matches in the mornings, reserving three courts. They played three sets, the winners and losers switching courts after each one. It had been a lucky find for Paul. Bud was about average height, stocky, square-jawed with blue eyes and a florid complexion. He had all of his hair, although it was graying. He was the fittest of the senior group and one of the best players. He liked to play the left side because he had a good backhand. 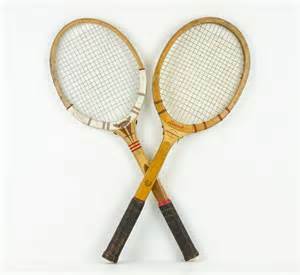 Paul and Bud had made a good team as Paul’s forehand was much better than his backhand and he favored the right side. One of the best things about the tennis club, to Paul’s mind, was a patio area, shaded by a large tree, that they repaired to after their matches to have cold drinks and talk about the affairs of the world. Paul had gotten to know Bud over the years. Bud lived in Citrus Heights. He’d been in furniture sales. He was married and had a daughter who lived back East. He volunteered with the local Sheriff’s Department. Paul’s knees started to give out in his seventies but he vowed to play until he was 75. In his last match, Bud was his partner. After the match (they won) he and Bud hugged. It was a moment Paul would remember. After Paul left the tennis club he and Bud tried to keep in contact, first with phone calls and then e-mails. Bud continued to play tennis at the club. A few years ago his wife had died. Bud had no other family except a daughter who lived back East. Paul had invited Bud to lunch at his retirement community’s restaurant and this had become an annual get-together. They also exchanged Christmas cards to keep each other up to date, that is, until the last year when Paul’s card to Bud had been returned. Paul had Bud’s phone number and now he called. A computer’s voice told him the number had been discontinued. Until then it hadn’t occurred to Paul that Bud might have passed away; Bud had always seemed in good shape, much better than Paul. He decided to Google Bud’s name; Google had an answer to everything. Sure enough, he found an article in the local Citrus Heights newspaper saying that Bud Foster, a dedicated Sheriff’s Department volunteer, had passed away. The article mentioned his daughter. It was a blow. Bud had come for lunch sometime in September. He’d seemed fine then. At their lunches, they’d usually have a report that one or another of their old tennis group had passed away, but he assumed Bud would be there forever. He recalled that last match with Bud as his partner, when they hugged at the end, and his eyes began to tear. “You have to expect such things,” she told him. The rest of the day went as usual. They had supper, leftovers. They watched television. They watched the local television station. More rain was forecast. In bed, Paul didn’t go to sleep right away. He was still thinking about Bud. Damnit, it shouldn’t have happened. He wondered if he could get the address of Bud’s daughter. He’d like to send her a card. He’d call that Citrus Heights newspaper; maybe they’d have it. Then there was Charlie, not doing too well. He remembered something that Charlie had said at the end of their call: “I wish it was twenty years ago.” Now Paul said to himself, "So do I. So do I".